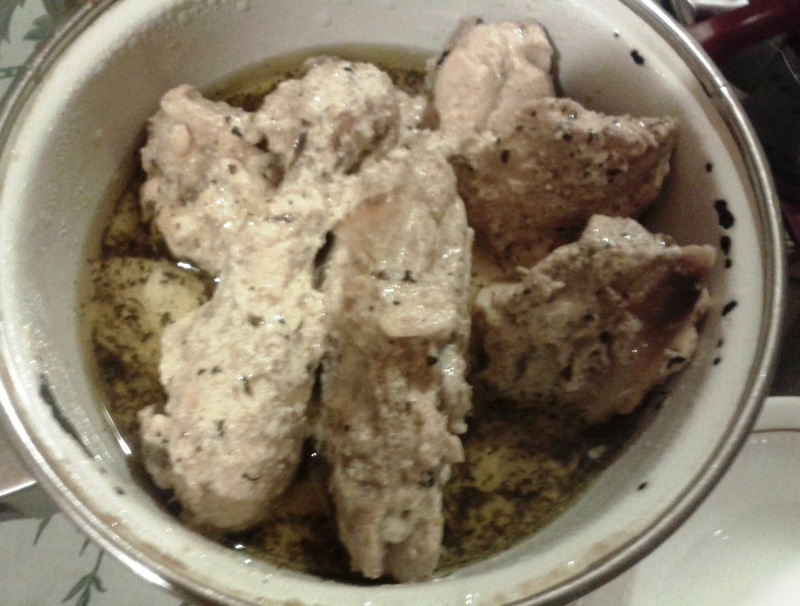 Kashmiri mutton kababs or Tujj was the first thing I could try. 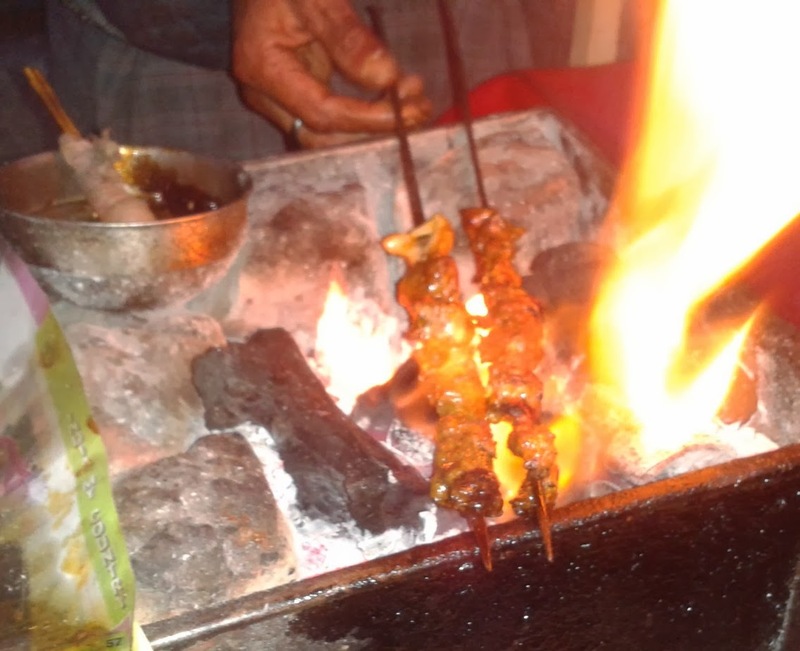 I located a small pushcart outside the gate of Nishat Garden preparing the kababs on skewers. 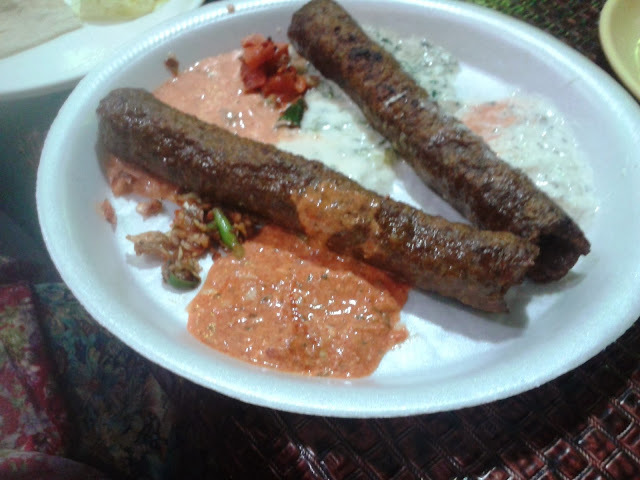 A skewer of Kabab was only Rs 40 and soon I was trying two of them on a complementary Kashmiri roti with radish chutney sprinkled on it. The meat was slightly underdone and juicy, exactly the way I like. The busy Khayam Chowk in Srinagar is home to a series of eateries serving Kashmiri non veg barbecues. I had been told to especially try out two places here – Imran and Shahi Durbar. 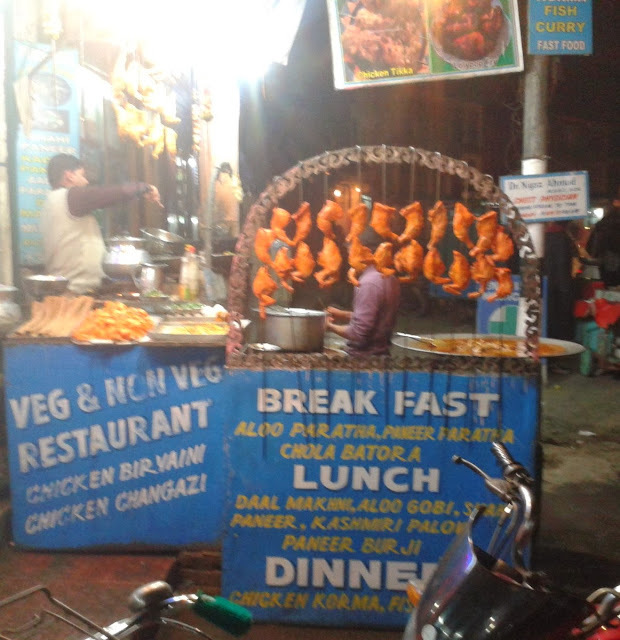 Both are no frills setups – Shahi Durbar, which specializes in chicken and fish items has a vast array of kababs as well as Tawa chicken being prepared on the street itself. 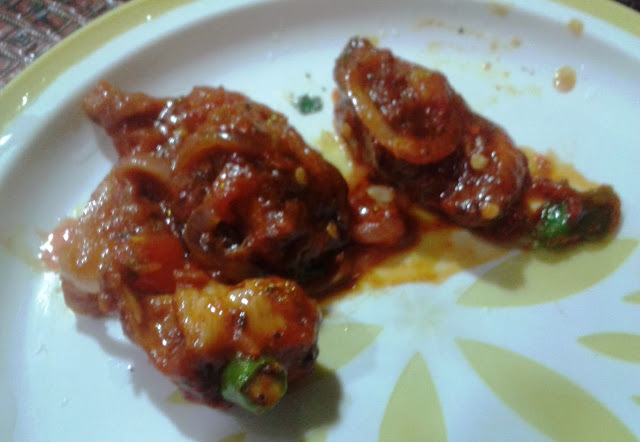 Tried the chicken kanti (shallow fried marinated boneless chicken pieces cooked with lots of onions and capsicums) here. 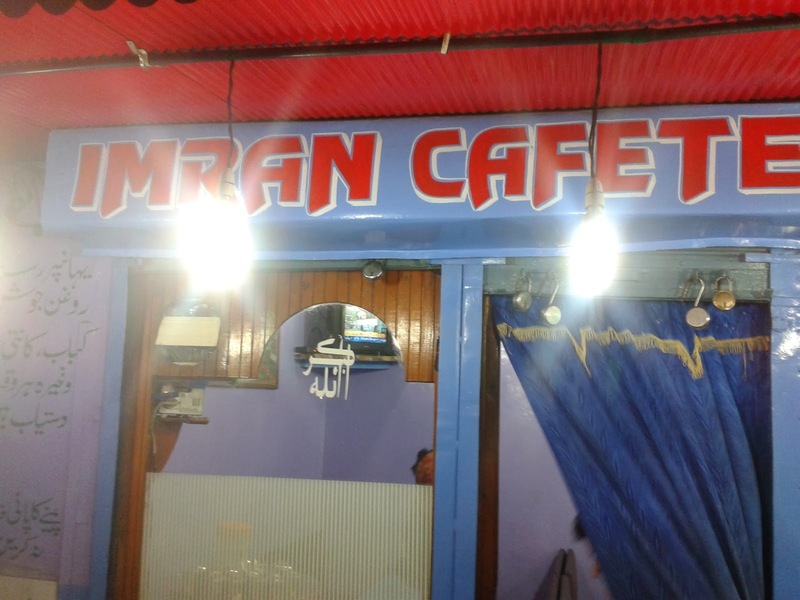 Imran next door is known for its Tujj and Mutton Seekh kababs. The seekh kababs (Rs 120) are served with a variety of chutneys – including the garlic, cucumber, onion and muji (radish) chutney. The succulent seekh kababs called for a second helping from my wife, and were quickly devoured. 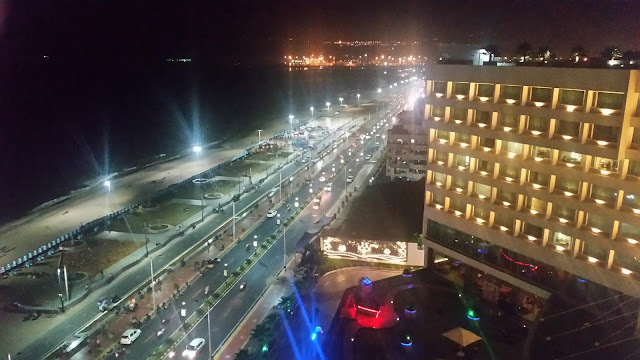 My friends in Hyderabad had suggested a visit to Ahdoo’s in Residency Road. Known as perhaps the best place to enjoy a Wazwan in Srinagar, the restaurant was quite crowded even at early noon. 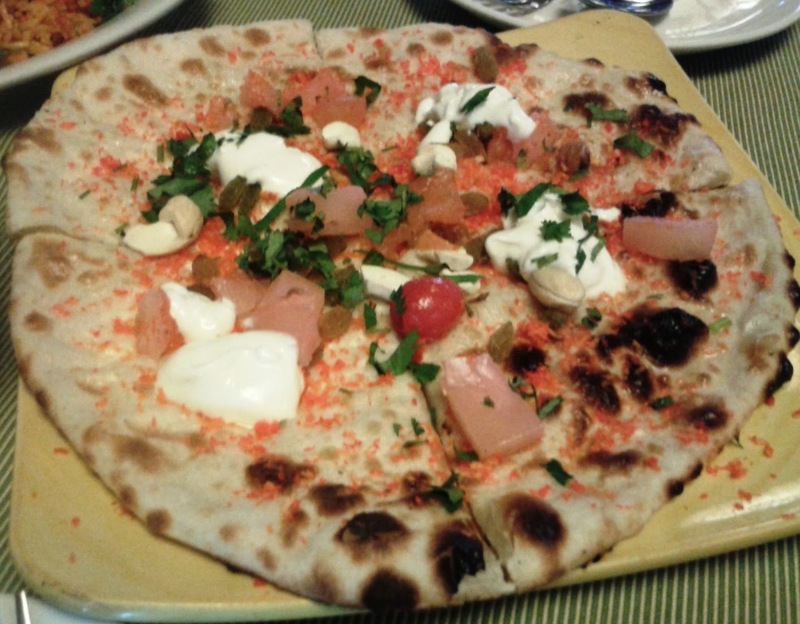 I wanted to try out specific dishes – so on the first day ordered their Kashmiri Pulao, and Gushtaba with Kashmiri naan. 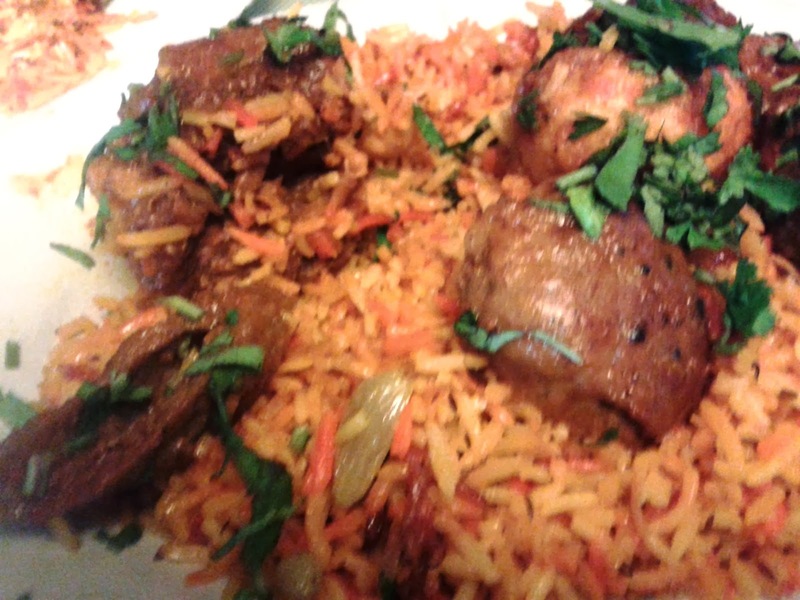 The Kashmiri Pulao was saffon flavored rice with an assortment of chicken kababs, mutton seekh pieces and garnishes with greens. Normally the Kashmiri Pulao we have at other places is sweet with a lot of fruits and nuts, but here this was a different non-vegetarian preparation altogether. The Kashmiri Naan had fruits, nuts and cream on top of it and was really delicious. 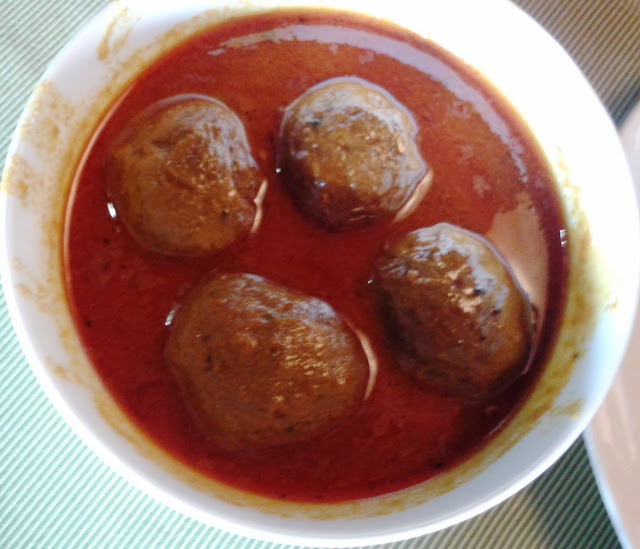 Gushtaba (Pounded lamb meat ball cooked in a yoghurt based gravy) was a treat in itself. 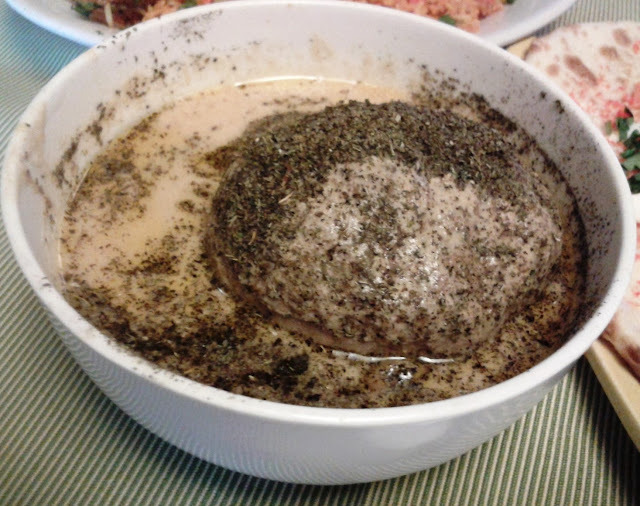 Unlike other places I have had Gushtaba before, at Ahdoo’s they serve one large ball of meat. We thought Ahdoo’s merited a second visit, so we visited them again one afternoon towards the end of my stay. This time I had plain naans with Rishta, another Kashmiri delicacy – which are pounded lamb meat ball cooked this time in saffron based red curry with Kashmiri spices. I also tried Methi Qurma – A Kashmiri spice based curry of chopped up different offals of mutton – like intestines, gurda etc. I loved the Qurma, the spicy red curry was exquisite in taste. At the bakery in their ground floor we tried assortment of cookies – the one I liked most was the Walnut cookies, which has plenty of walnut pieces bound together by honey in it. Just opposite Ahdoo’s there is a large supermarket. On a casual visit, we found canned Wazhwan delicacies from Ahad Sons being sold – Rishta, Gushtaba, Rogan Josh and Lahabdar Kababs. No visit to Srinagar is complete without a stay in a houseboat. The Houseboat Chefs are known for their culinary skills in Kashmiri cuisines. We stayed in Chicago Houseboats, where the chef dished out Chicken Yakhni, Mutton Roganjosh, and Kashmiri Chicken curry during my stay. 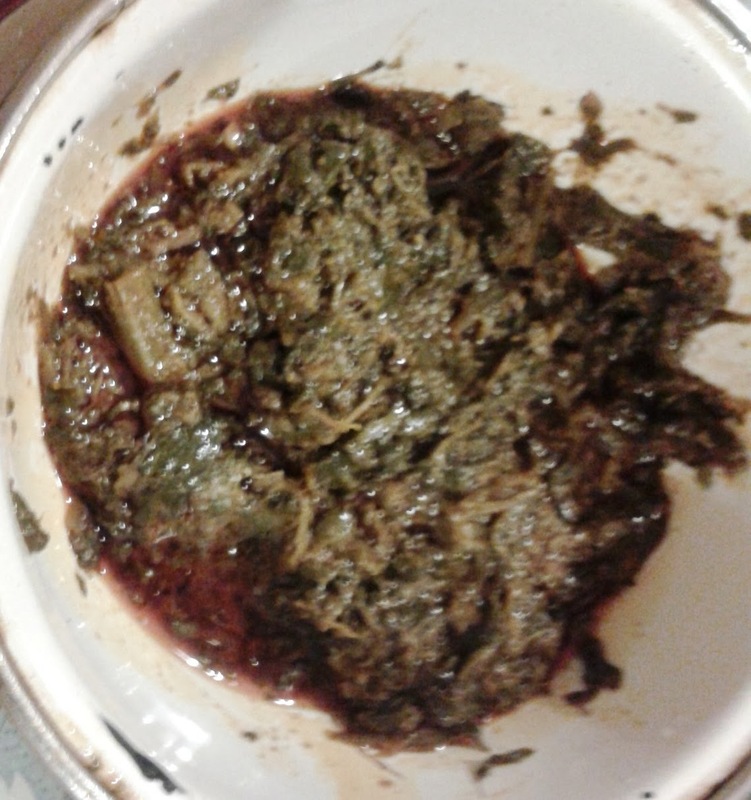 On our request he also prepared some Haaq – Kashmiri saag cooked in mustard oil as spicy gravy. 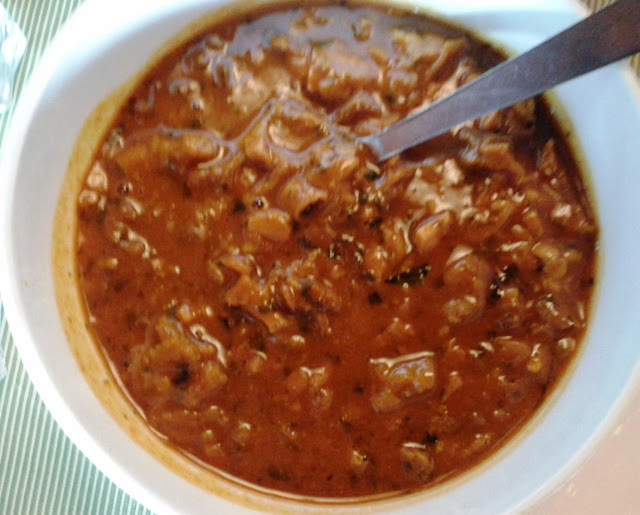 Srinagar also has other famed restaurants like Mughal Darbar and Shamyana – but my short stay did not permit a visit to them. 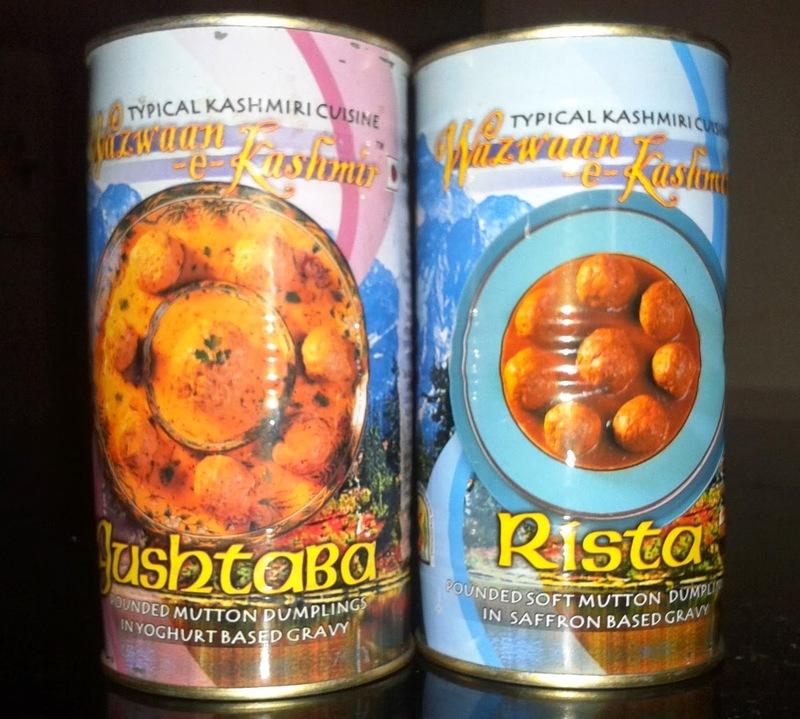 Planning a Leh trip via Srinagar next time, where these will be on my must try list. a lot of people talk about kashmir but they never discuss the food! thanks for sharing this.. the next time they have a kashmiri food fest in my city, I'm gonna be the first one to go! Thanks Shambhavi and Defiant princess.You should also try Kahwa (tea with almond) and Harissa (mutton based preparation) for breakfast.